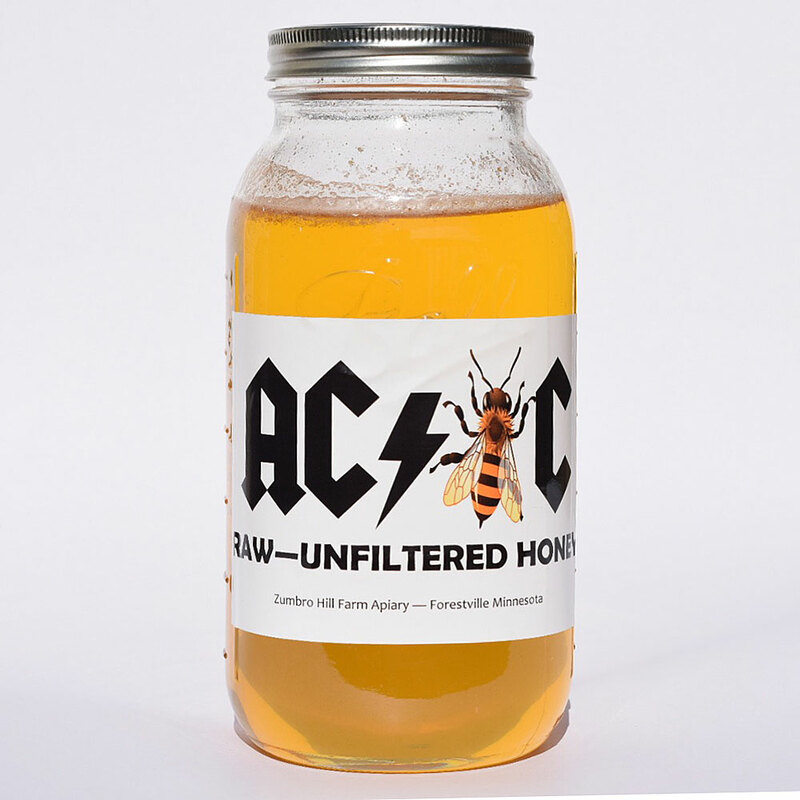 Our honey is raw, unfiltered, unheated, and dynamite! Which means, it will crystalize. Embrace the spreadable properties of the honey crystals or just warm the jar in hot water to return it to a liquid state. Non-crystalizing honey is a symptom of over processed heated honey. Our claim of “Hive to Table” honey is merited. The color variations of our honey comes from the variety of blooms collected by our bees. We extract and bottle each hive’s honey separately – never blending. We honor the bees work by keeping your honey from a single source. The kids have decided that all profits this year will go to supporting the Rochester Mustangs Sled Hockey Team. It is a great organization that provides those with disabilities an opportunity to play hockey! Thank you for your support! 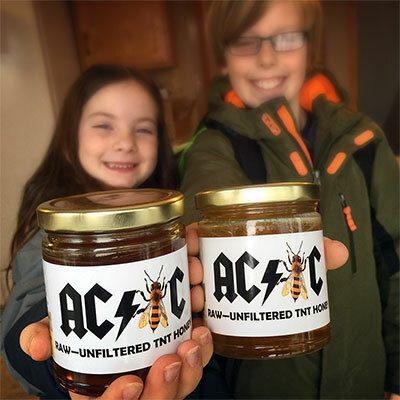 This honey has a great taste! I grew up in Texas with bee hives and helped my dad extract honey. Ours was a bit darker in color and had its own unique flavor. It has been a great experience tasting what bees produce way up North, and it is so naturally sweet and full of flavor. The half gallon size has allowed me to share your honey with friends and family and they all love it. Nothing beats pure, un-altered honey! Can't wait to try the next batch.